b)	'The customer' means the person, company or the firm purchasing the goods. c)	'The goods' means the order placed by the customer for the supply of goods. 2. GENERAL. Unless otherwise expressly agreed in writing by the seller these conditions shall apply to all orders received and accepted. If the customer's order contains printed conditions then such conditions bind the seller only to the extent that they do not conflict with these conditions and have been accepted in writing by the seller. In the event that the customer is not strictly held to these terms, the seller shall be entitled to rely on them later if the seller so wishes. 3.VARIATION. No alterations or variations of the terms and conditions of any order are binding on the seller unless agreed by the seller in writing. The seller may substitute products to that of a similar nature without consent from the buyer. 6. PAYMENT. 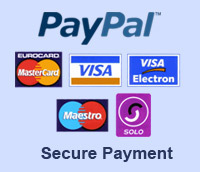 Payment shall be made by Account holding customers no later than 30 days from the date of invoice. All cheques, postal orders or other forms of payment shall be made payable to 'ADVANTURE'. In the case of dispute or legal proceedings the seller's offices at the address shown on the invoice is to be deemed the place where payment is made. The seller shall be entitled to charge and the customer shall pay interest calculated at the rate of 9 % per month upon any invoice not paid in time in accordance with this clause from the date of issue of the relevant invoice or invoices. c)Until the property in the goods has so passed the customer shall return the goods to the seller on demand and the seller shall without prejudice to any other rights be entitled to go upon the property of the customer and repossess and remove the goods. d)The customers shall be at liberty to sell the goods in the ordinary course of business. The proceeds of any such sale and the benefit of any contact of sale shall be the property of and held in trust for the seller absolutely, separate from its own monies in a separate account. 8.PASSING OF RISK. The goods shall be at the customer's risk from the date of delivery. It is the buyer responsibility to ensure the use of the supplied equipment is legal in the country of use. 9.DESPATCH. Time of despatch shall not be of essence of the contract. 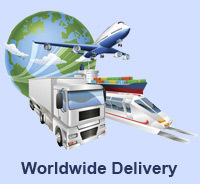 Delivery of the goods may be wholly or partially suspended (as the case may require) during any delay in the preparation or manufacture of the goods for whatever reason. The customer shall not hold the seller responsible for any direct or indirect loss which may arise if delivery is delayed. 10.DAMAGE OR LOSS IN TRANSIT AND SHORTAGE. Where the seller has agreed to deliver the goods no liability is accepted by the seller for the damage or loss during or any shortage. Unless the customer Signs that they have received Damaged or unchecked goods on the Consignment note and notifies the seller in writing within three days of receipt of the goods. In any event, the seller's liability shall be limited under clause 12 hereof. Notification to the seller must in all cases be given to the address shown on the invoice. 11.GENERAL LIABILITY. The seller's liability for any loss and/or any damage whether direct or indirect consequential or howsoever caused shall be limited to replacement at the option of the seller of the goods which are notified to the seller in writing as being defective within three days of the date of delivery provided that the seller shall be under no liability if the customer fails to adhere strictly to the terms of payment provided for herein or if the goods have not been used or retained reasonably or properly. 12.ASSIGNMENT. The contract of which these conditions form part is personal to the customer who shall not assign the benefit thereof without the seller's written consent. 13.LEGAL CONSTRUCTION. The contract shall in all respects be constructed and operated as an English contract and conformity with English law and subject to the exclusive jurisdiction of the English courts. 14. RETURNS . As most of the supplied products are produced solely to meet the need of the buyer it is regrettable that we operate under a non-refund basis. If the supplied goods are of an un-merchantable quality then the goods shall be repaired or replaced at the sellers discretion. In exceptional circumstances the seller may accept goods back under the following conditions. The buyer must provide an invoice/delivery note number and date of purchase with a reason for return within 14 days. It is the buyer's responsibility to return at their expense any unwanted items. The buyer must ensure that goods for return must be in a resaleable condition and in their original containers or wrapping. Upon receipt these goods shall be examined for merchantable quality. Defective goods will not be credited if it is proven that the failure has been caused by bad fitting, misuse or under specification. 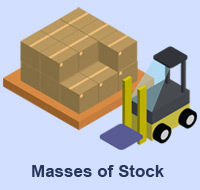 It is the seller's policy to impose a restocking charge of 20% on all returns where the buyer is liable. The seller shall offer payment or the return carriage cost if the returned goods are not of merchantable quality, limited by the seller's own carriage cost rates.